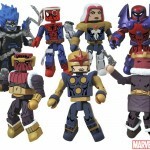 Marvel.com has revealed the first photos of the upcoming Marvel Minimates Series 50 Fan’s Choice Series figures. It’s been ten years, and Marvel Minimates have reached their 50th consecutive series! To celebrate, Diamond Select Toys and Marvel.com let fans vote on which characters they wanted to see, and DST made the most popular ones. 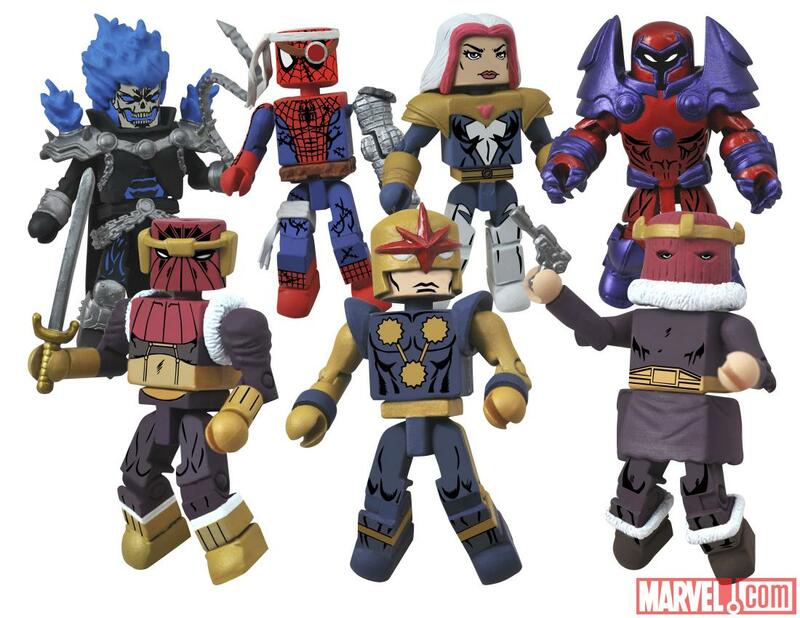 The winning Minimates are Cyborg Spider-Man and Songbird, Ghost Rider and Onslaught, Baron Zemo II and a Nova Corps Centurion, and a variant set that has Baron Zemo I and a Nova Corps Centurion! These are the figures over 30,000 fans asked for, so Diamond Select gave them what they wanted! Each Minimate stands 2 inches tall with 14 points of articulation and a variety of removable and interchangeable parts and accessories. See the figures by clicking the thumbnail. Been waiting for Helmut Zemo since I started collecting so many years ago. I can't wait to add him to my collection, may get his dad too. Otherwise, as much as I actually really like the random little characters in there, I'll only for sure be getting Helmut and Centurion.